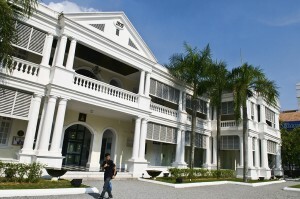 The Sultan of Selangor's royal palace can be viewed at Jalan Istana. However, visitors are not allowed into the grounds. History on the Selangor sultanate ,influence of the royal family in Klang and Selangor are explained and presented in this Gallery. Worth a visit if you want to know more about Klang. 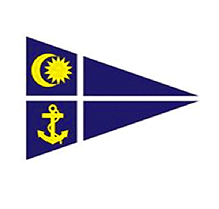 Go sightseeing to this island located around 30 minutes boat ride from the Klang Jetty (accessible via KTM; stop at Port Klang station). Pay a small fee for the speed boat ride. On the island, you can see a self sustaining island with a school,bank,fire station,police station and etc, mostly inhabited by the Chinese.Used to be a smuggling center,it now produces small food items like dried squid or fish paste. 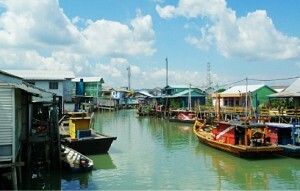 Seafood can also be found fresh from here as the people here mostly work as fishermen. A half day trip to see the simple life of the locals. 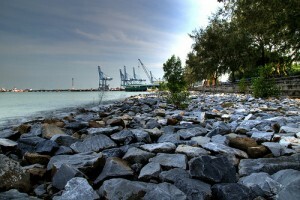 Fronting the Straits of Malacca, the Esplanade is a sea-side family recreation spot near to Northport that houses several seafood restaurants. Nice setup for sunset-gazing and also for anglers to fish. 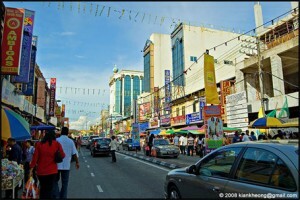 Smack in the centre of Klang along Jalan Tengku Kelana is the little nook popularly known as Little India. Soak in the colourful sights on the street from the striking saris hanging from shops to the snacks and sweetmeats on sale from shops and roadside stalls. During Deepavali, the Indian festival of lights, the street is astoundingly transformed into a colorful spectacle of lights and booming sound of music. Another interesting attraction that still exist at Little India Klang is the Indian Palmistry. A little helper, normally a bird, is used to tell the future using cards. 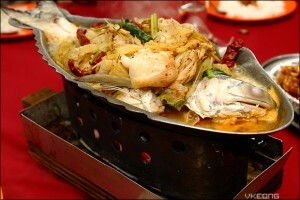 Klang is the original home of Bak Kut Teh (literally ``pork rib tea``). 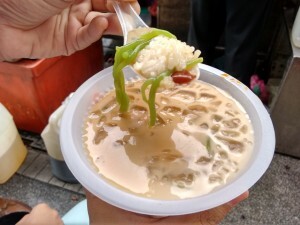 You would not be forgiven for mistaking this with Singapore's version of peppery, clear broth Bak Kut Teh. 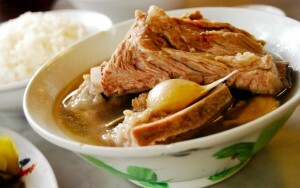 This Klang-style Bak Kut Teh contains pork ribs that are cooked in a strong, thick herbal stock, served with tea on the side. Understanding the anatomy of a pig is crucial in picking the right type of meat of your liking. RSYC's traditional style club house and terrace has fine river views, with local and international boats regularly passing by. RSYC are open to members of the public and the club house provides an ideal venue for weddings, parties and corporate functions, either on the terrace area or in our Kenaga Room. RSYC catering serves breakfast, lunch and dinner every day and can provide a wide variety of cuisine for group bookings. RSYC also offer a bar, pool and wi-fi in all areas, and comprehensive facilities for boat storage, boat maintenance, launching and on the water pontoons. 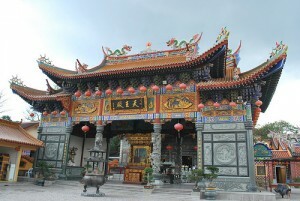 30 Jalan Raya Barat - Built in the 1980s, this is one of the most popular temples for Buddhist devotees in Klang. 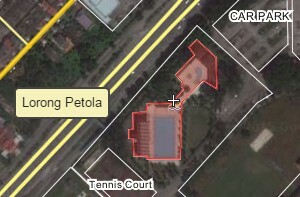 Located right next to Kai Hong Hoo temple. Built in 1928, the church celebrated its Golden Jubilee in 2008 after the church building had undergone restoration. Father Souhait played a large part in the design of the church building, modelling it on the pilgrimage church in Lourdes, France. 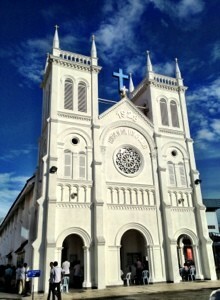 The design of the church follows the style of a Gothic architecture. 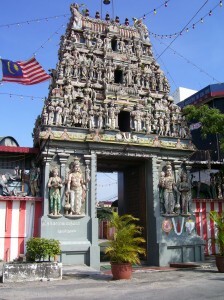 Built in 1896, it is one of the oldest and the largest of the Vaishnavite temples in Malaysia. The temple is often referred to as the ``Thirupathi of South East Asia`` after its famous namesake in India. The temple was awarded with ISO 9001:2000 certification for its quality sustained contribution in religious, cultural and social service to the devotees. 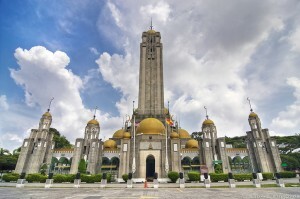 Sultan Sulaiman Royal Mosque was constructed by a British architect in the early 1932. The mosque's architecture is a combination of Western Art Deco and Neoclassical cathedral styles. This mosque is usually visited by Sultan Alam Shah Islamic College students every week for Friday prayers. New is exciting. New is spellbinding. New is amazing. 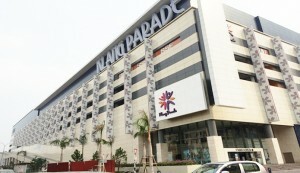 Come experience shopping in Klang Parade, a contemporary shopping complex nestled in a sea of retro shop lots, catering to savvy shoppers everywhere. Soak up the dynamic atmosphere as you explore unblemished hallways and brightly lit atriums drenched in natural sunlight, indulging you with a subdued serenity absent in so many overcrowded establishments. 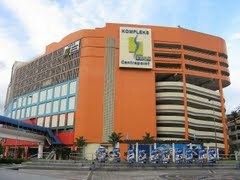 Located directly in the centre of the Klang city, Shaw Centrepoint is just ten minutes away from the main bus station. 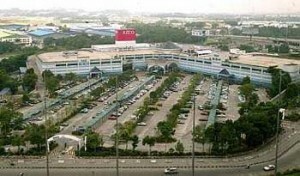 It houses a GSC cineplex. Opening hours are from 10.00am to 10.00pm every day.